It was an itsy bitsy teenie weenie polka dot. . . long scarf! 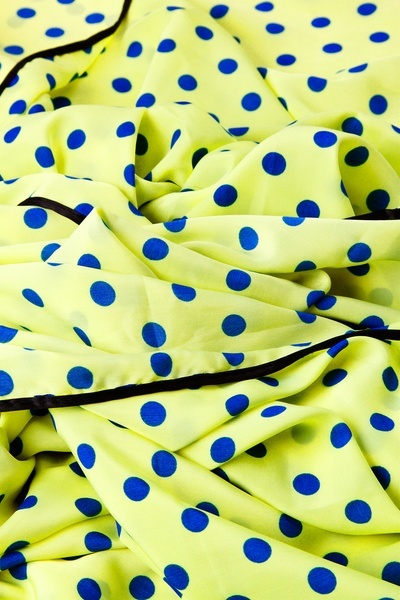 Polka dots are back and couldn't be looking better! 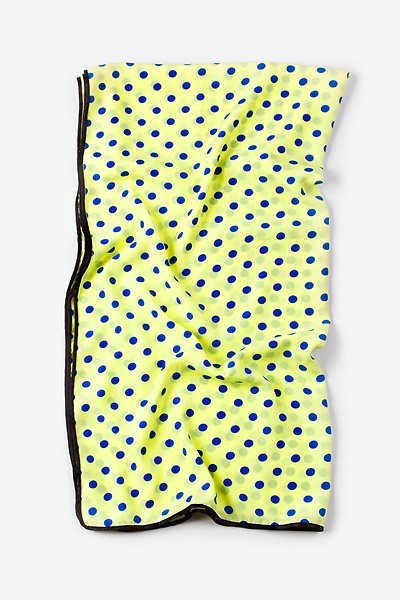 Each scarf is hand woven with beautifully soft polyester material and features a lime green background... read more It was an itsy bitsy teenie weenie polka dot. 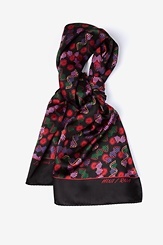 . . long scarf! Polka dots are back and couldn't be looking better! 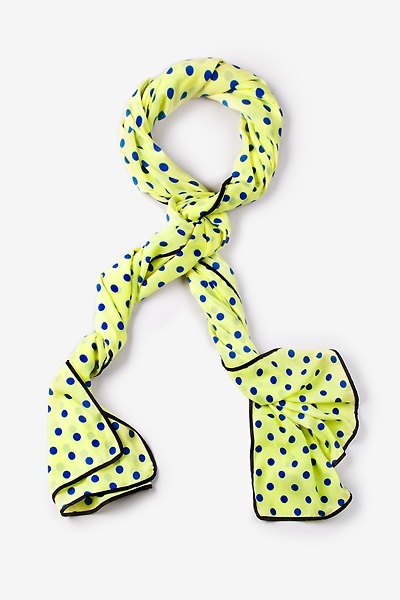 Each scarf is hand woven with beautifully soft polyester material and features a lime green background with a repeating pattern of blue colored polka dots for a fun and playful design. A black satin border completes the look to perfection! Imported.